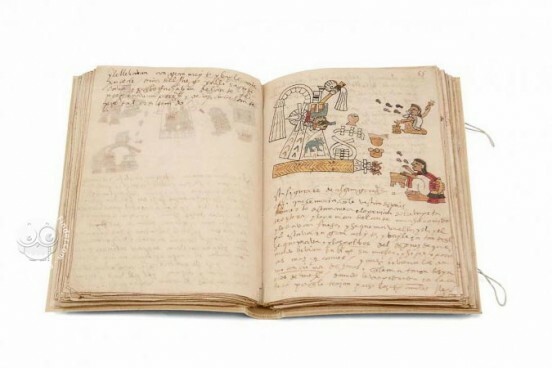 The Tudela Codex or America's Museum Codex is a document performed in mid 16th century in Mexico Centre during the early colonial stage over European laid paper. To this book, three named the Libro Indígena, Libro Pintado Europeo and Libro Escrito Europeo are joined the first occupies pages 11 to 125 and was painted by the Indian scribes in an Pre-Hispanic style near 1540, containing iconography and hieroglyphic writing information regarding Mexican or Aztec religion: types of calendar, rituals regarding disease and death, gods of the drunk, etc. The book Libro Pintado Europeo, was joined to the Tudela Codex after 1554 by means of the inclusion of a booklet at the beginning of the document, pages 1 to 10 (only four conserved), where the renaissance style of the artist shaped the drawing of various groups of Indians by man-woman couples. 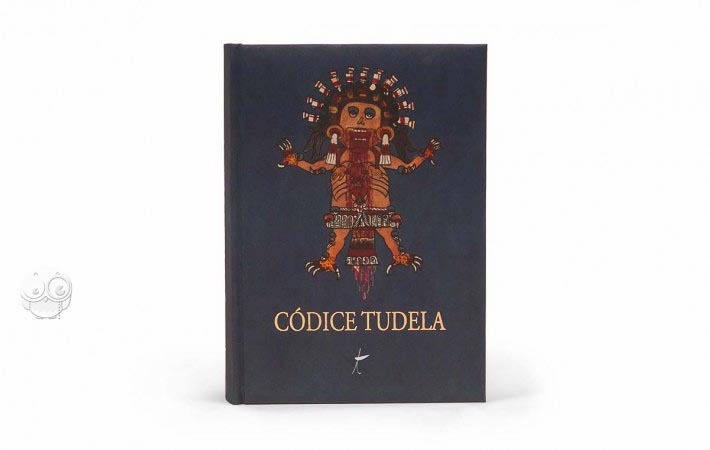 The Tudela Codex is of great because it is a first hand source for the Mexican religion knowledge, its value is also increased because it has given origin, through its Libro Indígena copy, another group of nine documents, ones reproductions of the others, that is named Grupo Magliabechiano, to check the generations produced in the copies of the drawings from one codex to another, using always as a starting point those initially gathered in the Tudela Codex. 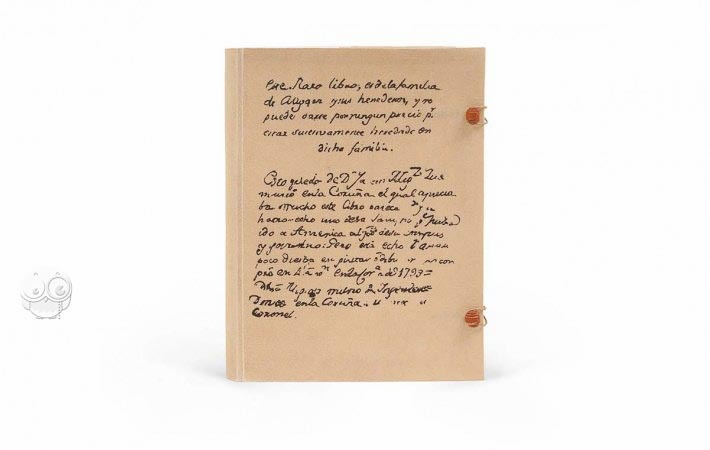 Manuscript book on paper − 22 × 16 cm − 250 pp. Commentary (Spanish) by Batalla Rosado, Juan J.; De Rojas, José L.
Full-size color reproduction of the entire original document, Tudela Codex: the facsimile attempts to replicate the look-and-feel and physical features of the original document; pages are trimmed according to the original format; the binding might not be consistent with the current document binding. 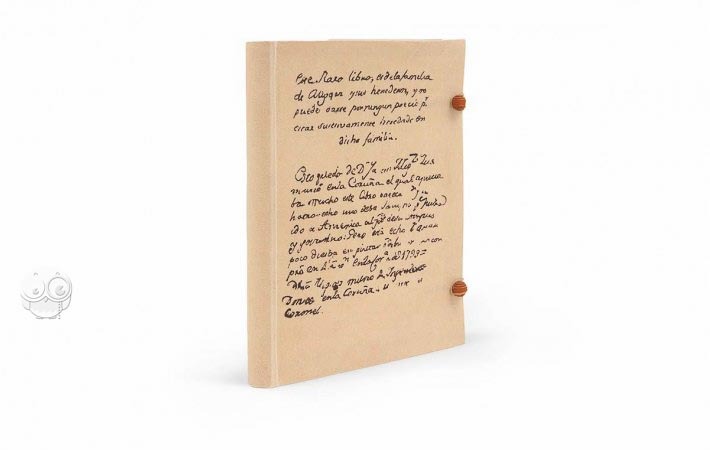 Natural parchment printed on the back. 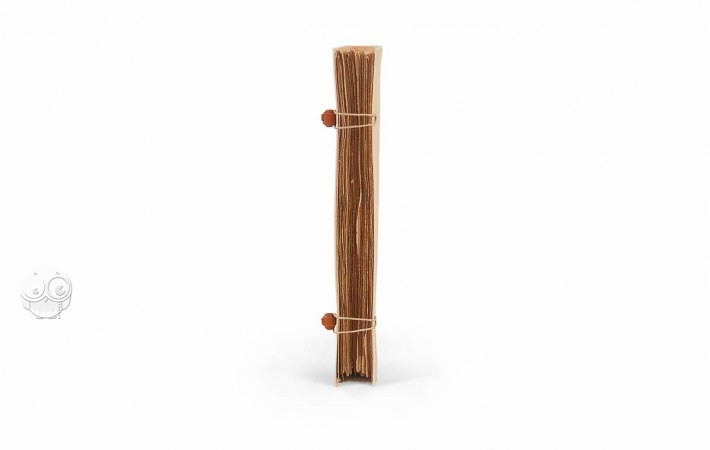 Closures in leather and twine identical to the original.